Things are getting better each day since the fire on November 21st. 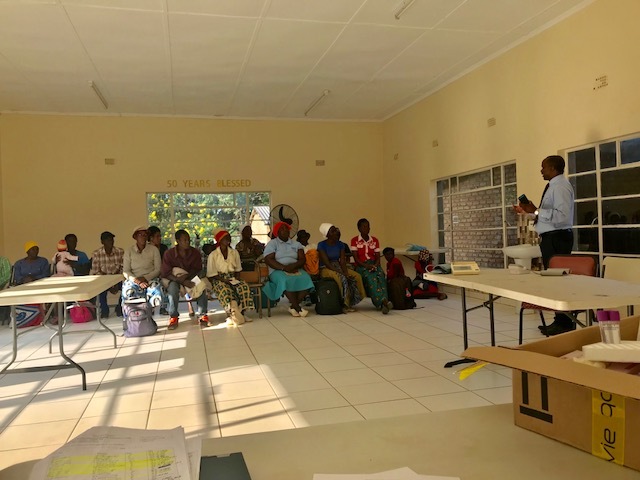 So many good things have come from the fire and the support and love from the community locally, from Karoi, Chinhoyi and throughout the country, the government and internationally have been overwhelming to us. We are humbled and thankful. We had the electricians arrive on Saturday last week and put most of the hospital back on line. Some of the wards and our AIDS Education wing need totally new wiring, so they are not yet back on line, but the rest of the hospital is. They also put us back on line with the solar so we are back to 24/7 power at the hospital. We are thankful to Gerald Khosa, our solar installer, who sent his electrician out and people from Chinhoyi ZESA to do this. By Saturday afternoon we had power going to all the hospital where it was possible. Tuesday we moved all the fridges and freezers back to the hospital that we have been keeping in our homes since we had no power at the hospital, since the fire. Saturday we also had a visit from the Lion’s Club in Karoi who brought out plates, cups, a big cooking pot and ½ ton of maize. They got this together in just 3 days from their local club in Karoi and so now we have enough plates to start feeding our hospital. We are so thankful for their support. Monday opened with a full OPD and so patients are starting to come back. Some of the patients we sent to Karoi District Hospital when we closed due to the fire have checked themselves out and returned to us. So by Tuesday we had 25 in-patients and a full maternity ward! We had 8 deliveries on Monday. Although people still try to use the fire as an excuse (I’m late for my ART meds because I heard you closed the hospital—when really they were in Harare, or I didn’t know I was on duty today because the schedule burnt—we have others in areas that didn’t burn!) we continue to give services as best as we can. Tuesday, one of our nurses, Mrs. Bennie Nyamaharo, gave us 12 new cups and a big dish to help the kitchen as a donation from her! How exciting this is to see even our own staff wanting to help to get the hospital back and functioning at full capacity as soon as possible. Most nurses would say “I’m glad for the break and less work for me if the hospital can’t admit,” but even our nurses are anxious to help our patients! We are so thankful for this attitude. 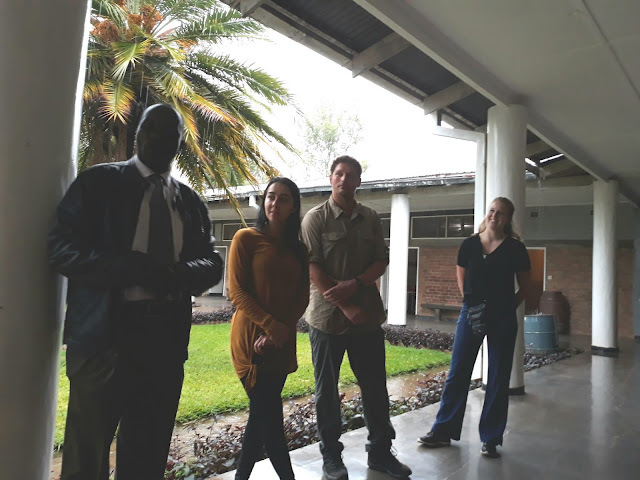 Tuesday a team from Chinhoyi and Karoi Public works showed up to assess the buildings as part of the government plan to rebuild. We are so thankful this is going ahead! Wednesday our satellite internet company came and got us back on line at the hospital. Some of the wires in the ceiling had been burnt and the expanded wireless we put in was destroyed so we need to replace that still. We have had to run home for the last 2 weeks to send an email or look for responses, so this will be a big help. A and get ll our Lab and Histology results come by email so it was a constant struggle to check them printed out. We received word today that IDES, a disaster relief organization of our churches in the USA granted us $25,000 to help us get going again. We are so thankful for this generosity! We are already working on list of how to spend it. This morning a group of 3 women from one of our areas where we built a school with our UK Rural Schools program, walked over 40 kms (25 miles) to bring 101 plates, 2 servicing spoons and 13 cups to replace what we had lost in the fire! The gift came from the church we started in the area, Mukowe, and also from others in the area that don’t come to church but just wanted to help! We have just been overwhelmed with the generosity everyone is showing to us. God is good! As they told us “this is our hospital and we felt the need to help.” We PTL that people see this as their hospital. Since there has been a little bit more “free time” between patients I have Major’s kids home for the holidays, Nancy, Carolyn and Michael, helping me unpack the rest of the drums from our last container. They put like things together and then I tell them which department to take things too. We have spent 3 days and have almost finished. We received a lot of very valuable equipment. Yesterday Dr. Kajese was so excited when we found 25 laryngoscope blades and handles when we were saying we needed to buy more! Now we have enough to even share with other hospitals! Thank you for all our friends who collect and send these supplies to us. We have drums of gauze and tape and Foleys and bags—all so needed here and it saves us a lot of money in buying these needed supplies and we can give these things to our patients free of charge! I also put them to work helping with month end reports!